There are signs that U.S. President Donald Trump and Chinese President Xi Jinping want to mend if not end a growing trade fight. Businesses in both nations would appear to welcome the 90-day binational trade truce between the nations that began on Dec. 1. 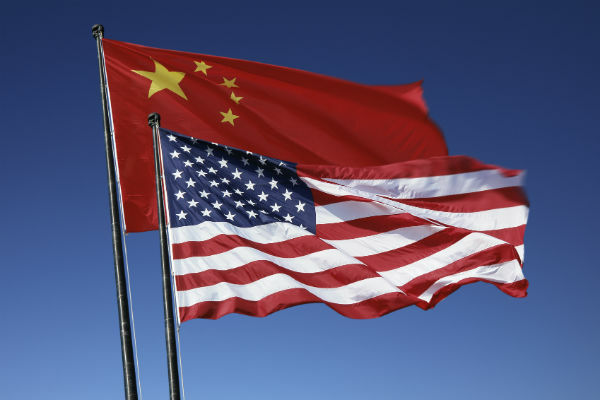 "China will agree to purchase a not yet agreed upon, but very substantial, amount of agricultural, energy, industrial, and other product from the United States to reduce the trade imbalance between our two countries," according to a White House statement. "China has agreed to start purchasing agricultural product from our farmers immediately." This is not a signed agreement, though. In other words, this is no done deal. U.S. tariffs on over $200 billion worth of Chinese imports at 10 percent remain in place for 90 days, which President Trump had threatened to hike to 25 percent on Jan. 1. In retaliation, China has levied tariffs on $110 billion of U.S. products. As he does, President Trump took to Twitter. "I am a Tariff Man. When people or countries come in to raid the great wealth of our Nation, I want them to pay for the privilege of doing so. It will always be the best way to max out our economic power. We are right now taking in $billions in Tariffs. MAKE AMERICA RICH AGAIN." In the meantime, discord remains over U.S. allegations of China’s forced technology transfers and intellectual property theft, Claude Barfield of the American Enterprise Institute in Washington, D.C., told MultiBriefs by phone. He frets less about the gyrations of the stock market, closed on December 5 in honor of the late President George H.W. Bush’s funeral and jittery over the future of U.S.-China trade, than how the rest of the economy performs. There are indications that American businesses are experiencing some problems. We turn to Frank Knapp, head of the South Carolina Small Business Chamber of Commerce. "The negative impacts of the tariffs are starting to be felt in local economies," he told MultiBriefs in an email. The Federal Reserve Bank released its Beige Book for mid-October through late November on Dec. 5. The central bank notes that 11 of the 12 national regions are unsettled over the use of U.S.-China tariffs on each other’s products. In particular, U.S. agricultural and manufacturing sectors are concerned over weakening foreign demand for products that cost more under retaliatory tariffs between the world’s two largest economies. Take Dallas, one of the 12 Federal Reserve Districts in the Beige Book. "Price pressures eased but remained elevated in part due to the tariffs, and outlooks were less optimistic than the previous report." Rising prices reflect the impacts of import tariffs. "One firm reported that it has passed along its costs from 10 percent steel tariffs but that it expects customers to push back if the tariffs increase to 25 percent," according to the Beige Book. "Another firm had absorbed the 10 percent tariffs but is slowly raising prices now in anticipation of higher tariffs." Import tariffs also hit U.S. firms’ supply chains, a process that businesses monitor closely. For the U.S., President Trump tapped Robert E. Lighthizer to helm trade negotiations with China. His involvement is a good sign, according to Barfield, due to Lighthizer’s experience in contrast to a lack of that with U.S. Treasury Secretary Steve Mnuchin.